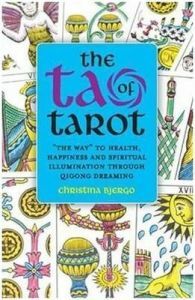 Christina Bjergo reveals the tarot as keeper of the secret Taoist practice of Qigong and the Way to health, happiness, and spiritual truth. Woven within the major arcana cards are little known wisdom teachings for inner cultivation through the body-minded practice of Qigong. The Tao of Tarot is a personal dream journey and practical guidebook teaching how to explore dream symbols to unity consciousness and enhance intuition.--This text refers to an alternatePaperbackedition.